A new business in Liberty is getting to the root of it all in more ways than one. 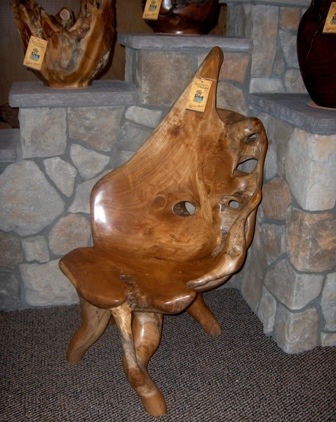 Root 52 Gallery at 87 Mill Street (Route 52) specializes in functional art made from the roots of trees that originate in Costa Rica. And so, owner Tiffany Moore decided to go for the root / route play on words for the name of her business. 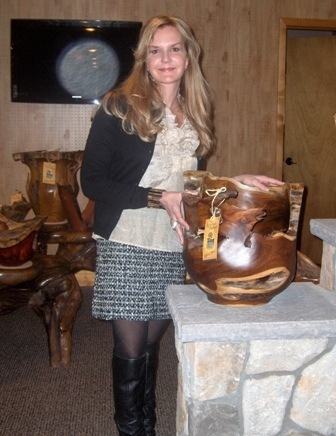 As artistic as she is clever, Moore has taken the huge space that once housed a craft store, and turned it into a striking display of hundreds of beautiful wood pieces – vases, benches, dishes and more. 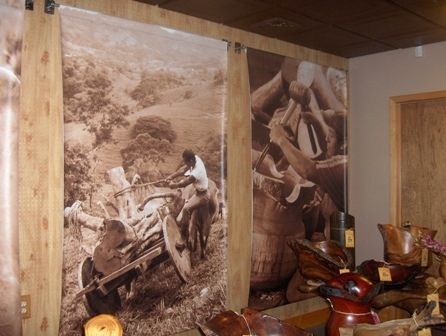 The walls of the room feature life-size photos of Moore’s staff harvesting the roots from the farms in Costa Rica. And Moore intends to have a video made that will show the process from start to finish. There are over 20 different types of woods represented in the gallery including Rosewood, Purple Hearts, Fustic, Tigerwood and Blackwood. 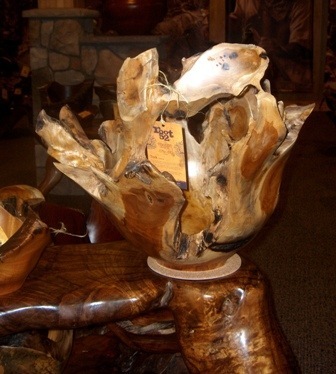 And every single piece comes from a tree that is either threatened or endangered. Moore also said that she is looking into donating a percentage of the sales toward the replanting of these endangered trees. To view more photos or to purchase prints from Root 52 Gallery Opens in Liberty visit the Chronicle on Zenfolio. What happened to the Root 52 Gallery – it is no longer there? It’s not there anymore, Becky. Closed. Not sure it they moved or closed permanently. Thanks so much – was hoping you you might have updated info on Root 52 . 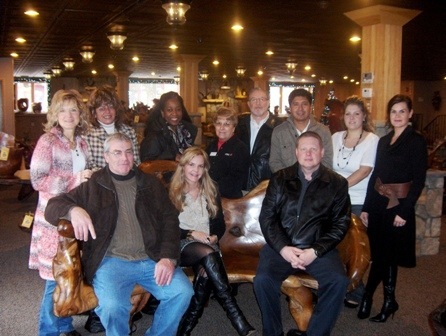 We so enjoyed taking all of our friends there when they would visit us when we would be spending time here. sorry it has left us. Hello Becky G! You can contact us by visiting our Facebook page Arturo Solano Costa Rica @ https://www.facebook.com/rootgallery/. Hello Becky G, I’m so sorry I found this post three years after you wrote it, hope it isn’t too late. You can contact us through our Facebook page Arturo Solano Costa Rica or https://www.facebook.com/rootgallery/ , we’ll be happy to get in touch with you!